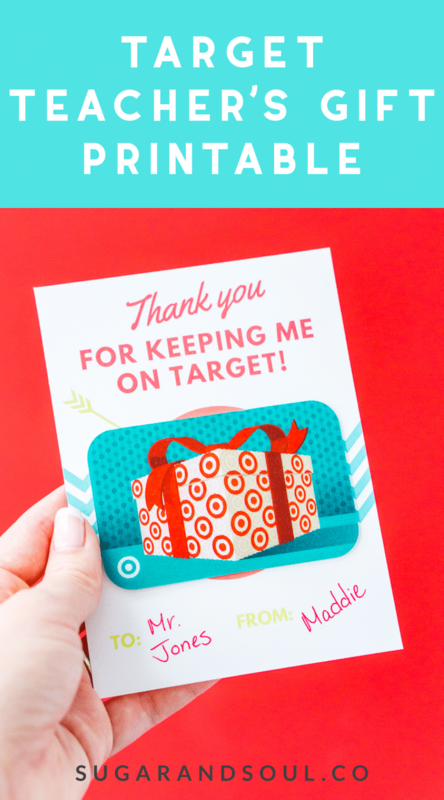 Tell the teacher in your life just how much you care with this free and adorable Target Teacher’s Gift Printable! Simply print and add a gift card to it! I might not have school-aged kids, but I know that a lot of you do and I thought that this super fun gift card printable would be an easy Teacher’s Gift idea to share with all of you! I worked at Target during college and my love for that place has only grown and I’m sure most of you can relate, because no week is complete without a trip (or two) to Target, amirite? And I’m guessing every teacher feels the same! 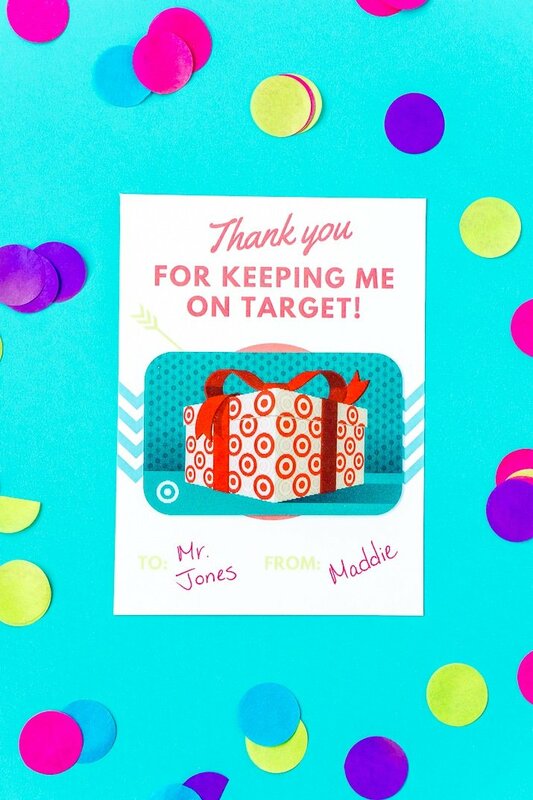 So treat them to a little Target shopping to start their summer without that hassle of making some over-the-top DIY project. Although, my Sugar Cookie Sugar Scrub is a total winner of a gift idea too! This printable was designed to be printed on 8.5×11-inch paper so you can easily print it on your home printer. These printables do come with grid lines to help with cutting, I recommend using a Paper Trimmer, but scissors will work in a pinch. 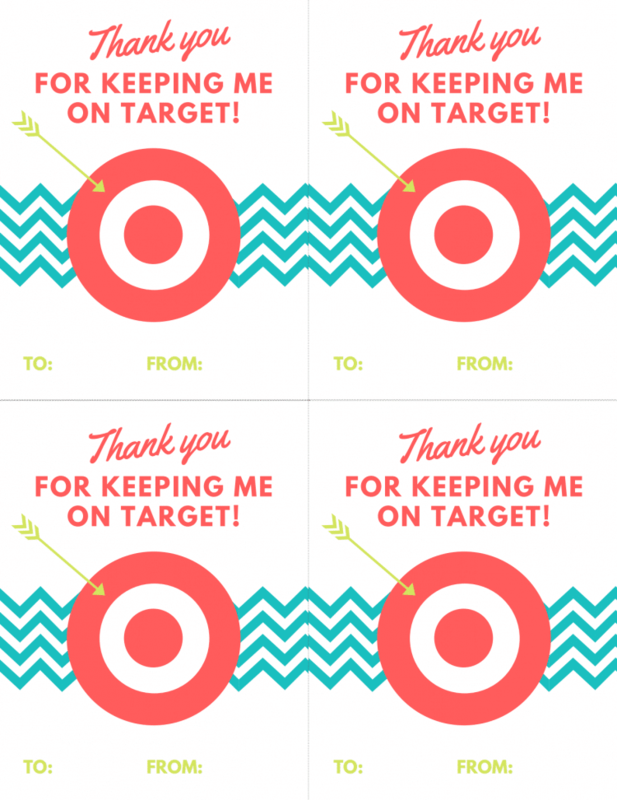 You’ll want to use either double stick tape or mounting squares to adhere the gift cards to the printables. This makes a great gift on its own or in addition to a fun gift basket! Enter your email address in the form below to print! You will be taken directly to the PDF of the printable and received an email copy as well. If you do not see a form, please click here to get to it!